Last week was a frenzied and exciting time of awards, announcements, jaw-dropping giveaways and inspirational reader success stories. With all of the content going on, it’s probably fair to say that you might have missed a post or two—and that would be a travesty! 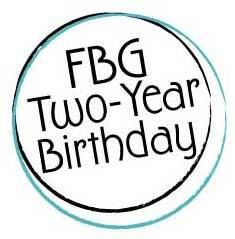 So to avoid any sad tales of missed FBG posts, we’ve put together the below cheat sheet from our two-year birthday week. It highlights the best of the best! Announcements galore! —including one with SparkPeople! The 2010 Fitties. —This stuff rocks and you need to know about it! The first-annual Noshies. —A new awards category for our fave healthy eats! The 2010 Fit Bottomed Girl of the Year. —She ROCKS. The best posts of the last year. —According to both us and you. How well do you know the FBGs? —A fun quiz, with a bribe for playing. A pair of Nikes plus matching apparel. —Just do it. A Life Fitness Body Shape Kit. —Perf for beginners or those without a gym membership! Seven Ellen Barrett DVDs plus more swag. —Need we say more?! lucy’s Perfect Core Knee Pant and Perfect Core Sports Bra. —We love lucy! More than $100 worth of Vega yumminess and gear. —We like it raw. 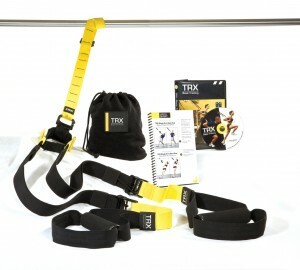 A TRX plus workout DVDs. —It doesn’t get better than this, seriously. Amy Nowacoski—She learned to love to run! 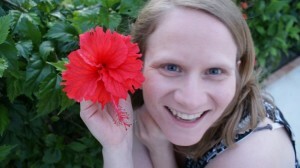 Stephanie Betts—Her success comes from an inner sense of calm. Alia Graves—Her husband is going to be wowed after this transformation! Tammy Schmidt—With a 116-pound loss, her before-and-after photo will amaze you! Erin. D—She just gets it now. I would love to have this. I’ve always wanted to try it. I’d love a TRX! I’m trained to teach it…so if I owned one, I’d actualy be able to use it with my clients! Yay for TRX and Happy Birthday!